Back in my teens I aspired to create my own computer games and actually made some nifty little games, but I didn’t ever distribute them. 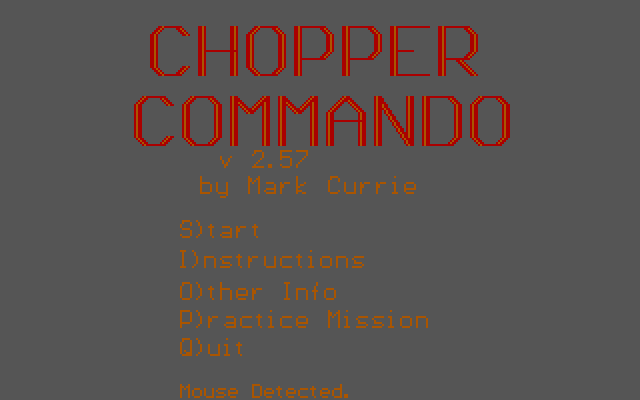 Today’s game, Chopper Commando was made by Mark Currie when he was 15 and did make it out in 1990. 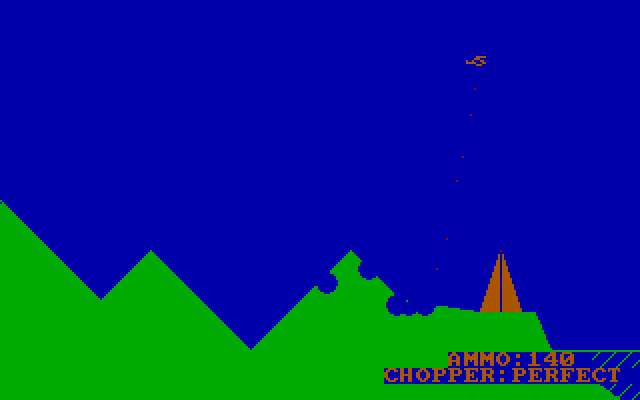 It’s a fairly simple arcade helicopter game in which you’re given a mission to complete. 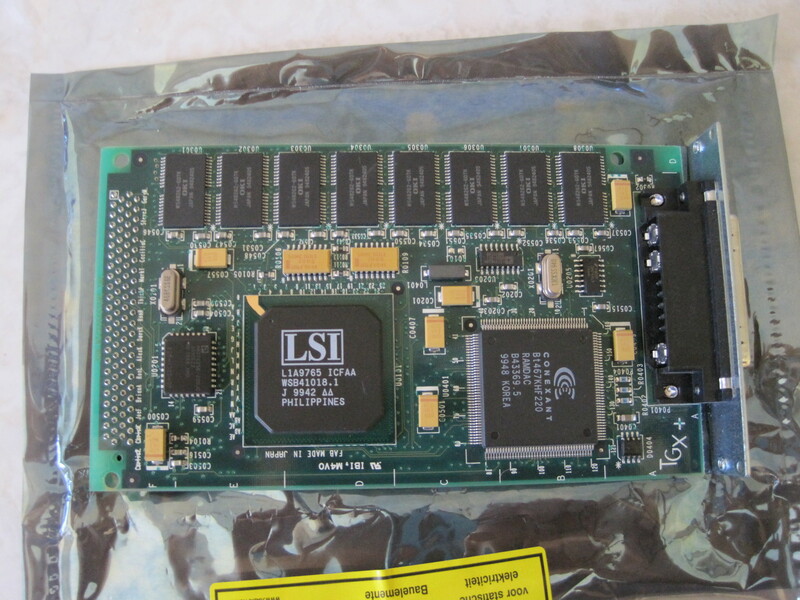 It was written with Turbo Pascal 5 using the Borland Graphics Interface (or BGI). The game uses CGA 4 colour graphics at 320×200 which are mostly drawn using the basic line and fill functions from the BGI library. So artistically the game has a fairly simple line-drawn style that does the job. 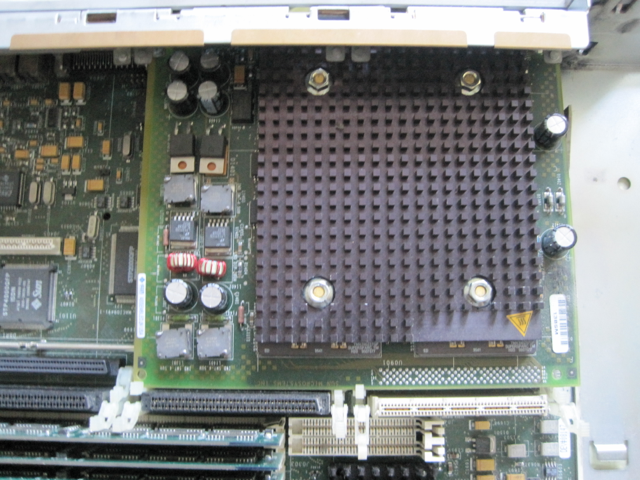 Sound is also fairly basic, with a few simple beeps coming from the PC speaker. Upon starting the game you select your pilot from the roster, the number of bombs you can carry and finally the difficulty of the mission. Each difficulty setting has 5 unique missions which is chosen at random each time you play. There is a bit of variety in the missions, some are strictly destruction, whilst others involve deliveries or retrieval of items. Controls aren’t as intuitive as I’d like, but once I slowed the game down I managed to progress quite well with the keyboard controls. To move you tap the direction you want to move and you gain speed in that direction, in order to stop you have to tap the reverse direction until you slow down and stop. It’s not the easiest way to handle controls, but I managed to make it work for me. I tried using the mouse, but that just resulted in a crash (the helicopter not the game), this could be because I was using Dosbox to play. Destroying bad guys isn’t too hard, there are four weapons to use for dispatching your foes. First is a basic gun that fires forward. I found it best for shooting targets in the air but the bullets also slow down and fall to the ground, so you can destroy ground targets with it. There are also basic bombs which basically behave like the gun without the forward movement, these are easier to use on ground targets. You have the option to use missiles, but I found they were more likely to get me killed so I didn’t tend to use them. Finally there is a mega bomb which has a larger explosion radius. Chopper Commando is a fairly simple game, but it has a lot of little extra details that make it charming and fun. The game uses a different colour palette for day and night missions. You can eject from a damaged helicopter and run around throwing grenades until a spare one arrives, and after missions there is a short piece of text from the office that makes fun of you when you die, or congratulates you upon success. Obviously it’s not very technically impressive, but it’s quite fun. I looked for the Authors website, but it appears to be down, but you can find this on the Classic Dos Games website with a slightly updated version that fixes some bugs and source code.